Limits alleviate some of the strain on the behind-the-scenes part of Twitter and reduce downtime and error pages. A user can send a maximum of 250 direct messages per day, and after that would have to wait till 24 hours for the service to be running for them again. 1000 Tweets per day are allowed, and this doesn”t mean you can tweet a couple hundred in an hour and again sit back and post after 5 hours. The maximum 1000 tweets are divided into semi-hourly divisions, and this brings the equation to – 21 Tweets every 30 minutes. This includes the tweets and retweets too. The change in the account email can be done a maximum of 4 times in an hour. 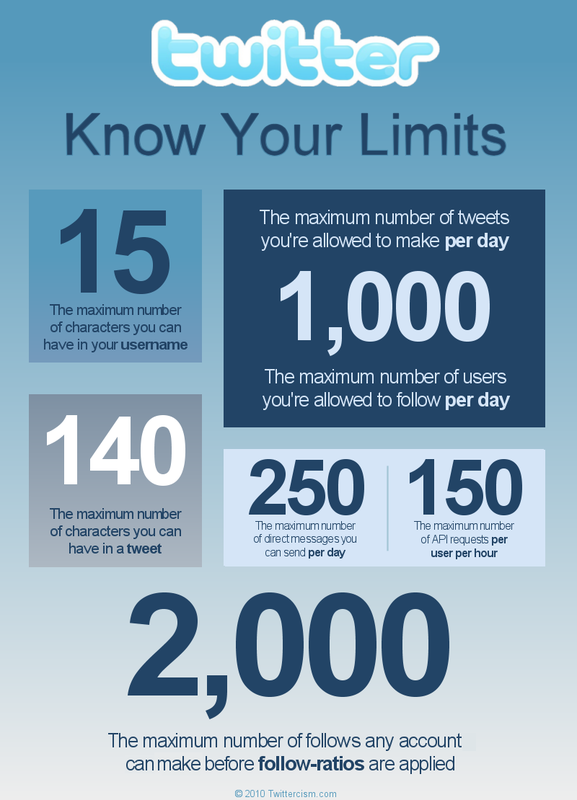 Twitter has set an account-based limit, and a daily limit for the following count for every user. The daily limit of following is 1000 per day, while the account specific count is 2000 follows for an account which has got lesser than 2000 followers. Twitter has set some standard rules for the following / following back where they allow only the Auto-follow-back through any tool where a user who has got a follower would be able to automatically follow back that follower using any tool. But there is a strict restriction on the Auto un-following as that online casino would just be unethical and won”t look any good when you gain followers and follow them back, later unfollow all of them on a single mouse click. If a user is using any 3rd party accounts to access Twitter and get more things done from their account, the API limit could reach faster than normal. 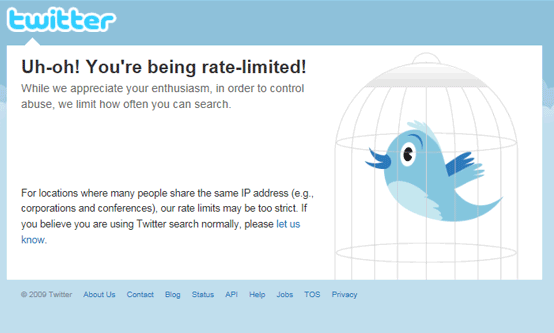 In general, the maximum number of API requests a twitter client can make per hour is limited to 350 API requests. This could pose a problem in offices where several users might be using the same IP address to browse twitter and thus the number of API requests would be high. What to do to overcome the limitation? These limits are all time based, thus the hourly limits could go after an hour where you can check back after an hour to see the site working normally again. Do not try to keep checking as soon as you see that the limit has been reached. If you feel you haven”t used the Internet much but still are getting the limit message it”s better to contact the Twitter support team.